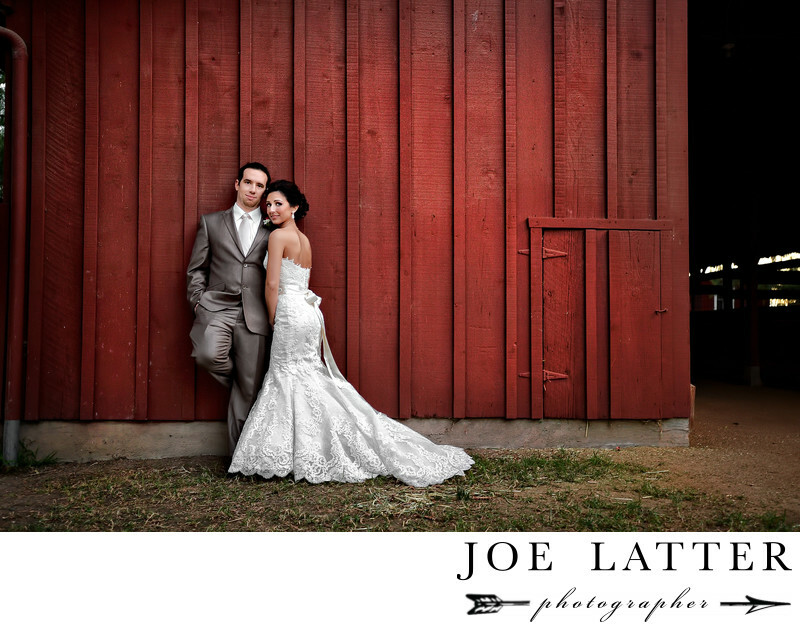 I love the contrast of the red barn and the bride’s white dress in this photograph on their wedding day. Sometimes the most difficult part of shooting a wedding is finding the right locations within a moderate distance of the venue. Years of experience and a little research and we were able to pull off the bride’s vintage barn feel right in the middle of Los Angeles.